I’m not even going to try and fill in the blanks from the last time I posted…last August…from Key West! That was before a three week trip to North Georgia. 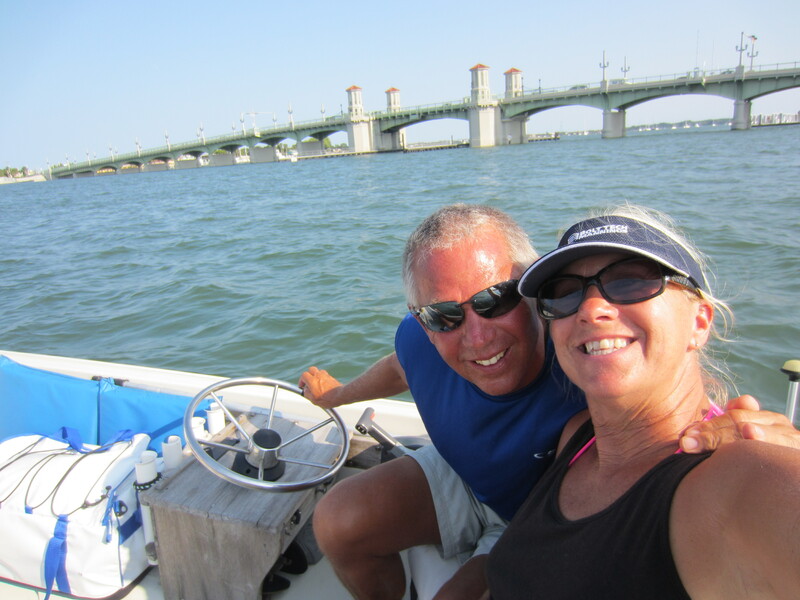 Before we left No Ka Oi tied to a seawall in Marathon, Florida. When we couldn’t get back to get her out. 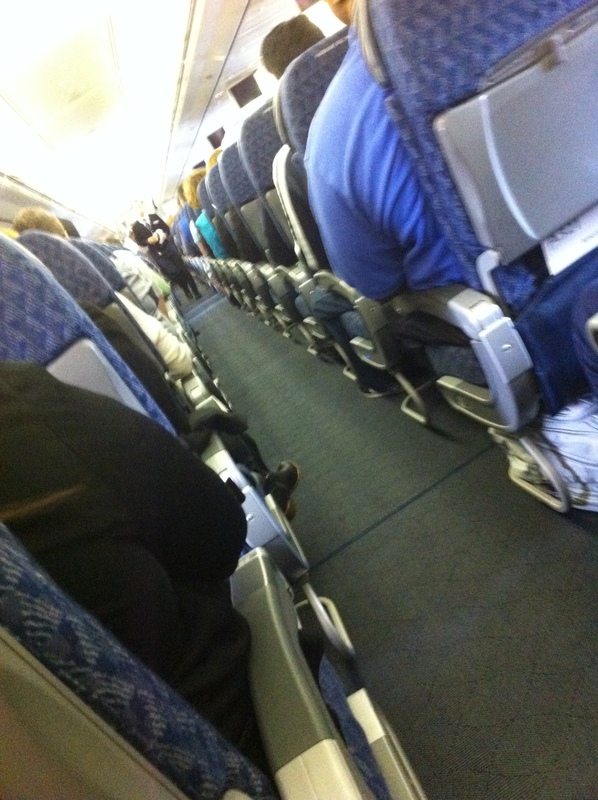 When it took forever for us to get back in. Before we cried our way south through piles of debris and sadness left in the wake of Irma. We were spared and consider ourselves fortunate. Irma tried to chafe a hole in her belly, but she’s a strong old girl. We were able to get a patch in place and take her home in early October. Many still deal with the aftermath and will continue for sometime. We are sad and heartbroken for all the loss. No Ka Oi has had her repairs, a little lipstick and a new coat of paint. 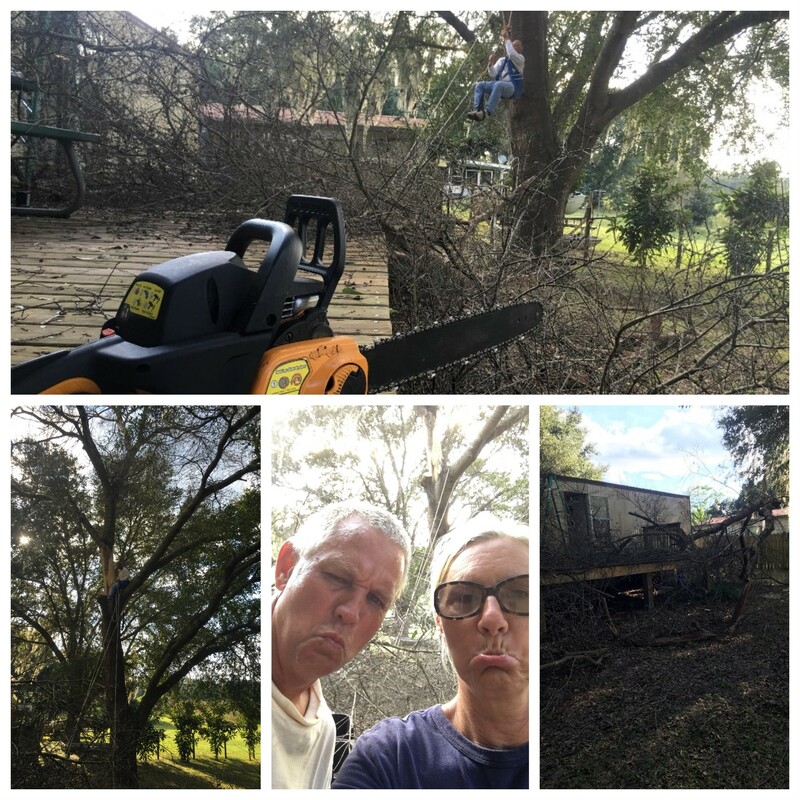 While that was happening, we got busy with the things of life, hurricane clean-up and repairs, sick parents, grandchildren visits, and things we can’t even remember. The sidetracks are part of the adventure, but not all that exciting for a blog. But now that we are back out adventuring, No Ka Oi is a happy girl. With the wind in her sail, she is pointed north. We are St. Augustine bound or maybe waylaid at some place we couldn’t pass up. Hoping for some sunshine and crew restoration. This is our first adventure with Ruger the pup. He came to his forever home last October via Martin County Humane Society. He ain’t right…but that’s probably good, cause those running his forever home ain’t all there either. Pepe Le Pew is glad to be back at it, as are Russ and I (and Ruger isn’t sure yet). We sure hope everyone will join us in our newest adventure, and as always we hope you might come out and join us along the way! Here’s a few pics from today. Roosevelt Bridge and railroad bridge up. Check. Ruger working out his chill skills. Check. Always a nicer view from this side of the gate. All systems checked and ready to go! We did our first Facebook live video this morning! I’ll figure out how to make them play here. Technology issues at are real at our house. But there is time to figure it all out. Thanks for sharing our adventure with us! 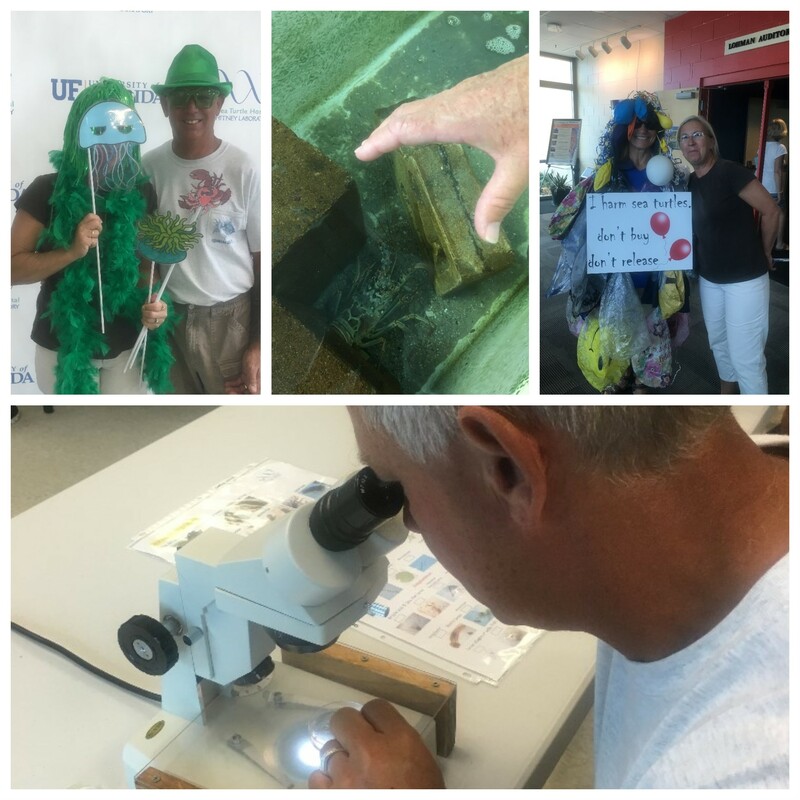 We started out the week with an afternoon at the dedication of the turtle hospital at U.F. Whitney Labs. It was nice to see inside all the buildings we had been looking at while we were here. 2015_10_24 Sea Creatures, Is that a lobster? Please pick up your trash, Future scientist? This washed up on Saturday and was interesting to examine. 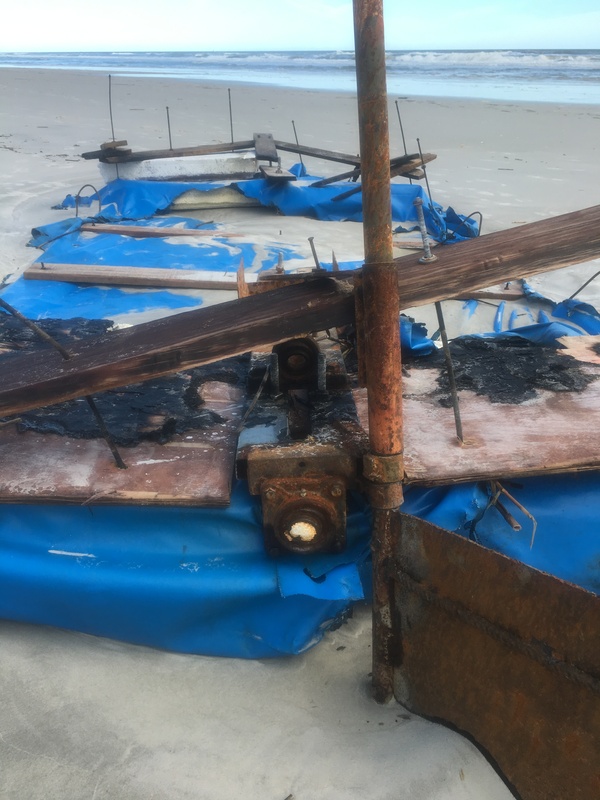 We see these homemade rafts from time to time and pray that the people made it to safety and were not lost at sea. 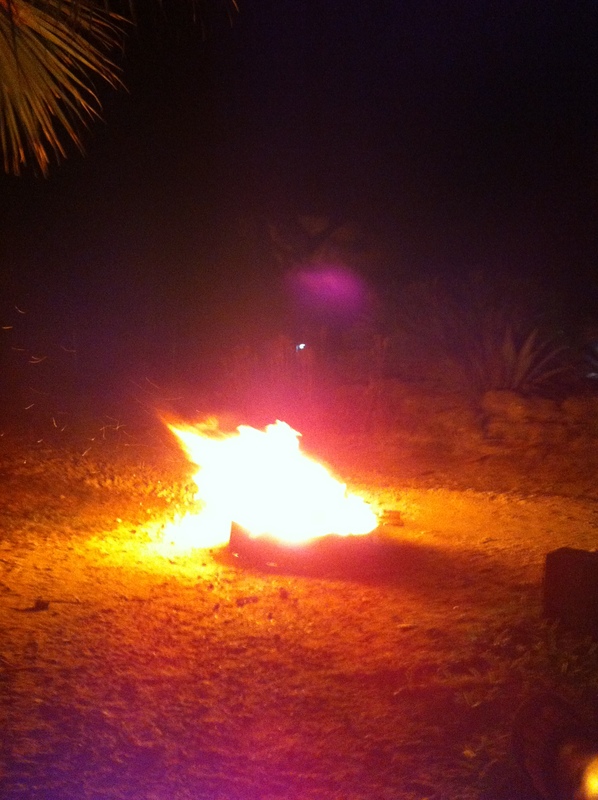 On Sunday afternoon and evening we had a little marina get together, and a bonfire. 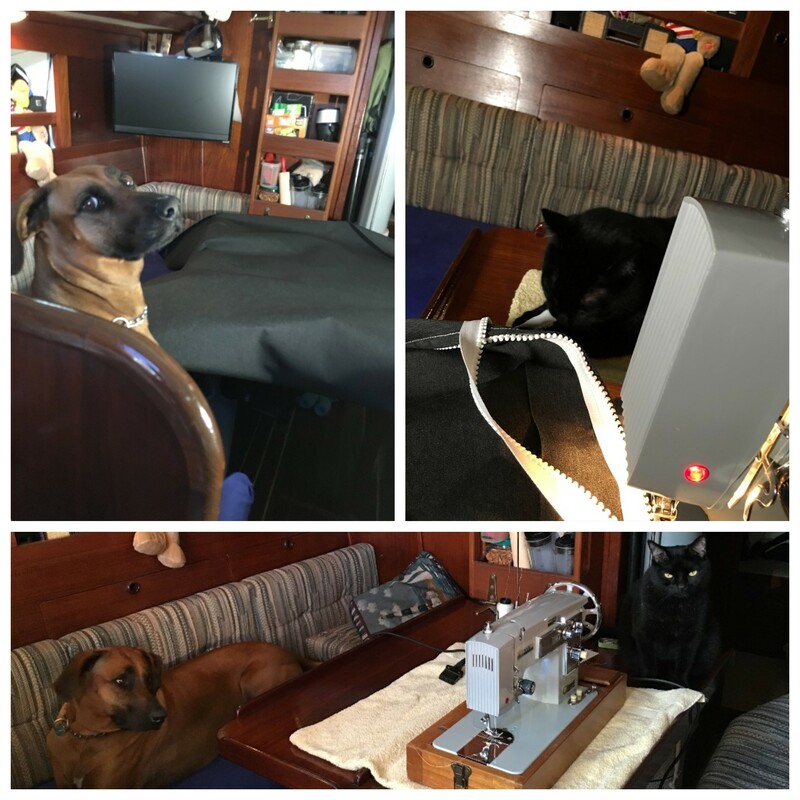 Here is project number one for the week, sewing some “hold us over” side curtains with some remenant fabric we got at the Sailors Exchange. Not bad for the working conditions and staff. One of our unplanned issue was the engine on our Boston Whaler. At 28 years old, the motor decided it was time to give us a hard time. We were hoping to push this replacement off into 2016, but it wouldn’t work out that way. 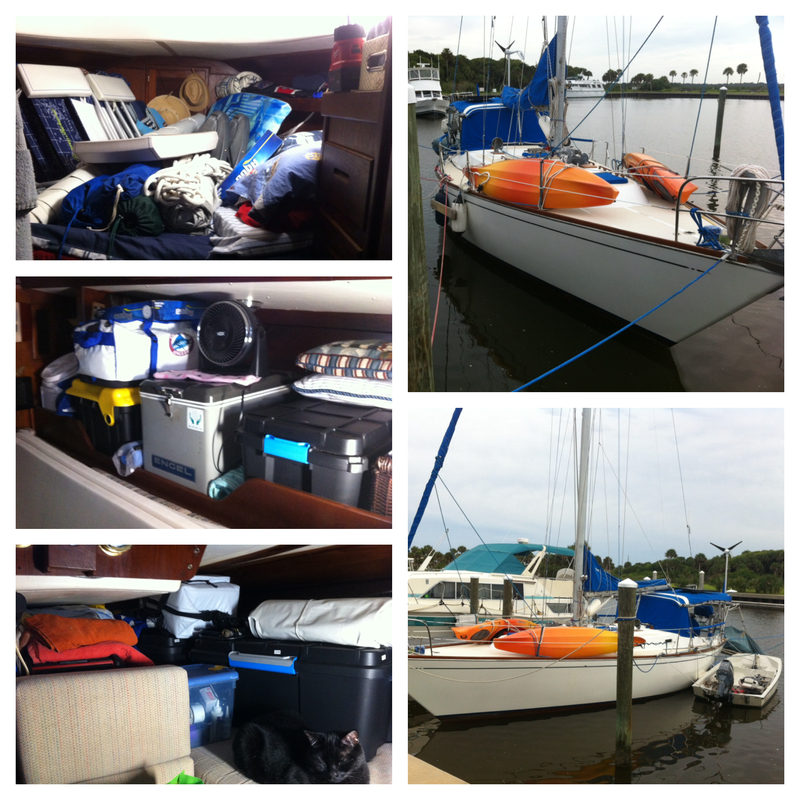 Our wonderful Captain, being the resourceful and thrifty guy he is, found a new one to us, in St. Petersburg, FL. 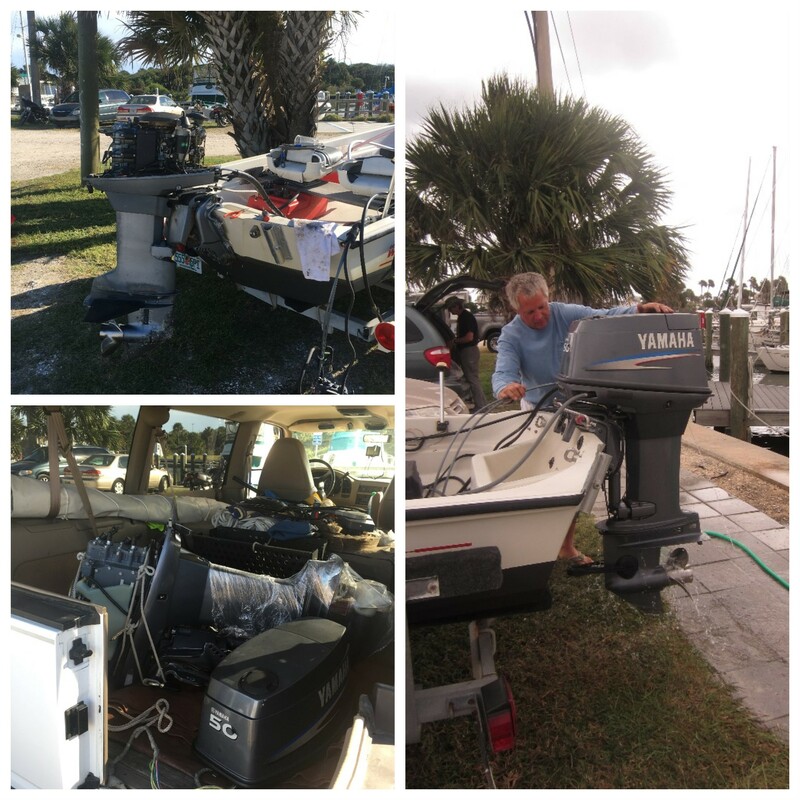 After an extensive tour of the state of Florida (ie, going all the way home to get the trailer for the Whaler and then going to St. Pete and back to Marineland, in one very long day,) he was able to remove the old engine and installed the the new to us 50hp Yamaha. 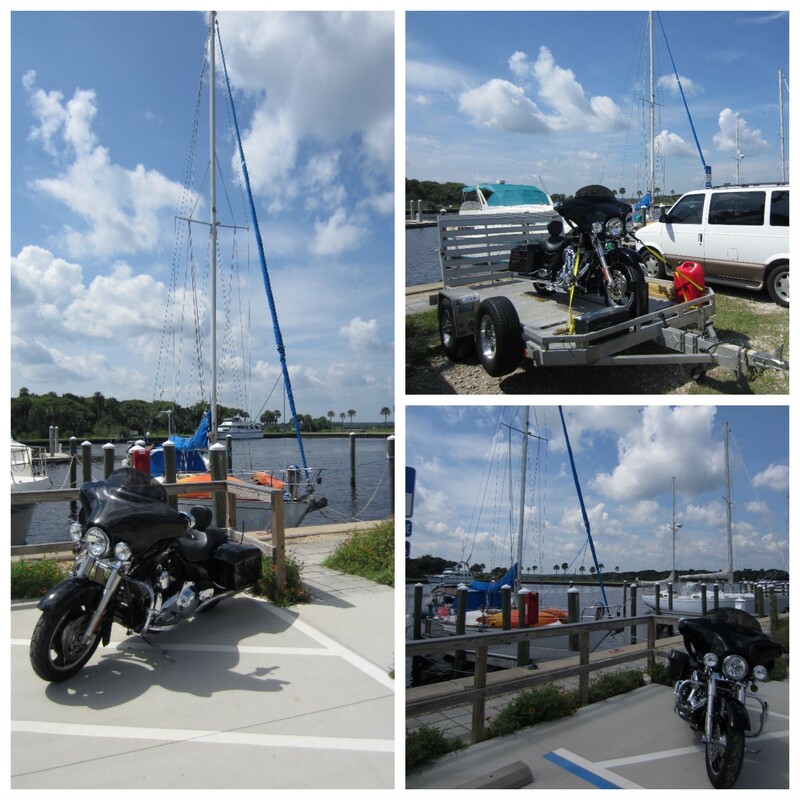 Thanks to our helpful friends at the marina who kept his back from being broken in the lifting process! 2015_10_27 Old Motor, New Motor, Job well done Captain! 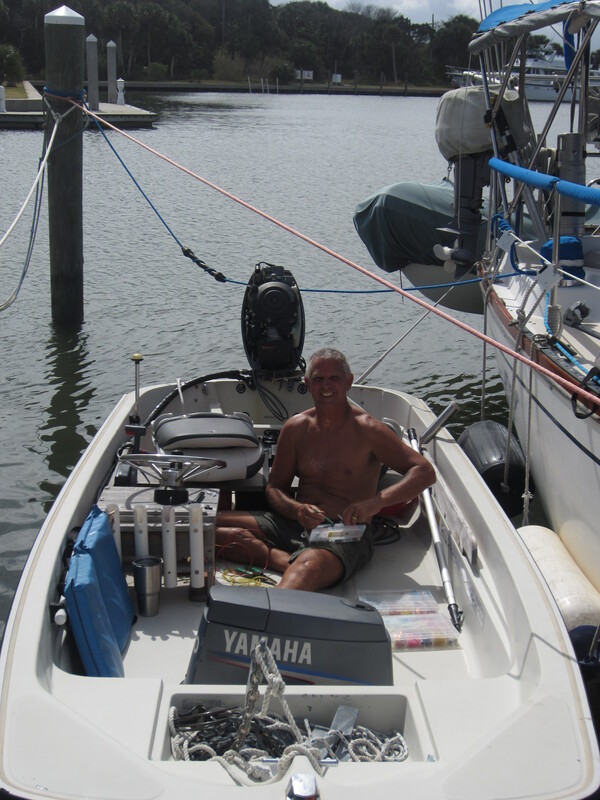 A few days later, he was able to install the tac and oil gauges for the new motor, I think he has the Whaler back in working condition. Did I tell you how wonderful it is to have a handy Captain!!! And he’s so cute too. 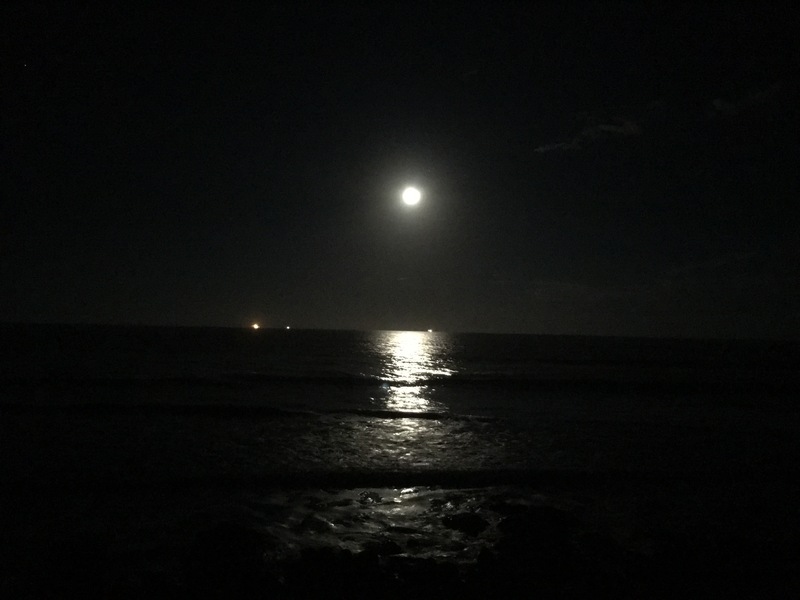 There is something special about watching the full moon on a high tide over the ocean. The extra lights you can see on the horizon are the shrimp boats out doing their thing. Project number two, was to deal with the tree that was hit by lighting over the summer, at our Umatilla property. Mast climbing gear works well for this application, and the Captain wasn’t tossed around by any unexpected boat wake. 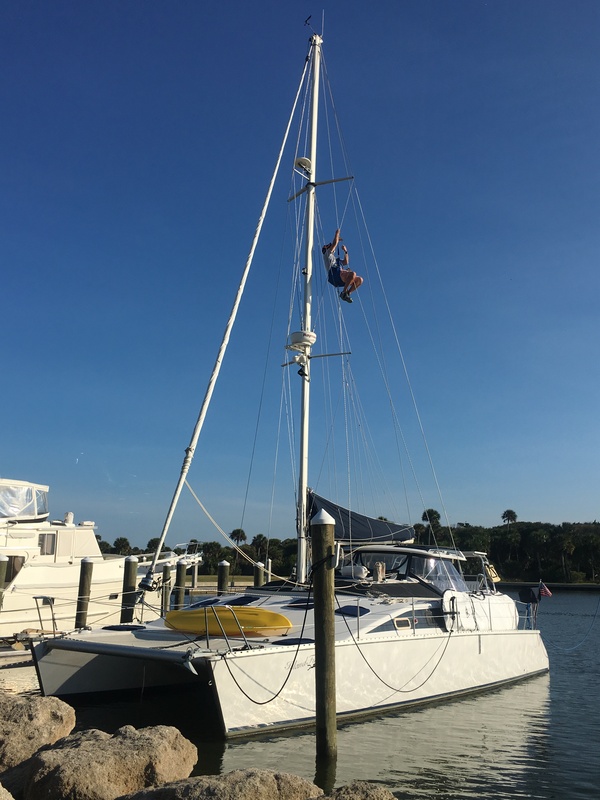 As long as the mast climbing gear was out, the Captain was glad to help Steve, on Island Finz, get to the top of his PDQ mast and find out what it is like when a bit of boat wake comes along. 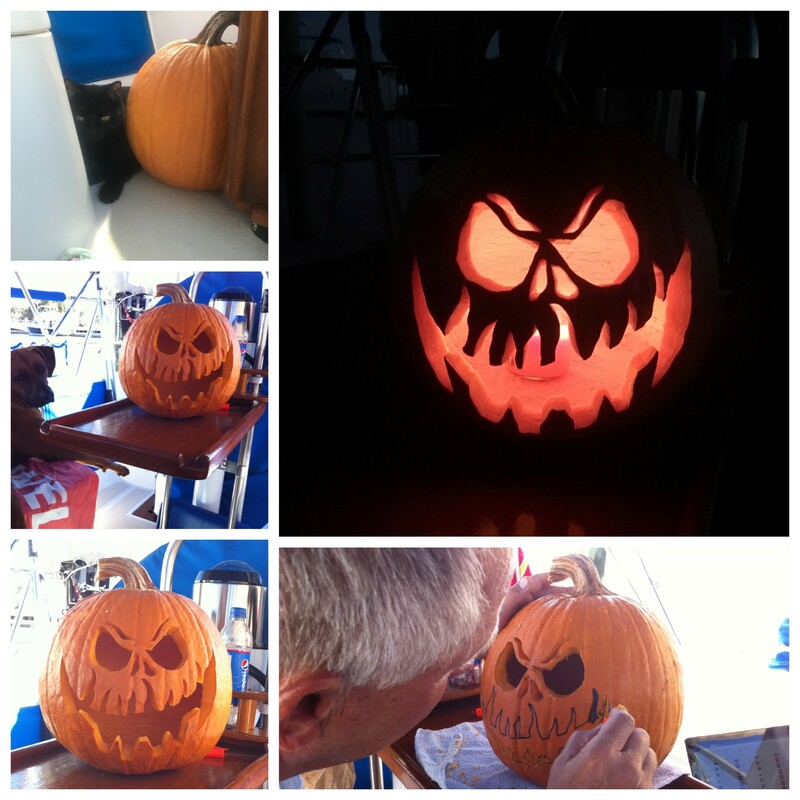 The Captain impressed the crew and everyone at the marina with his pumpkin carving skills. 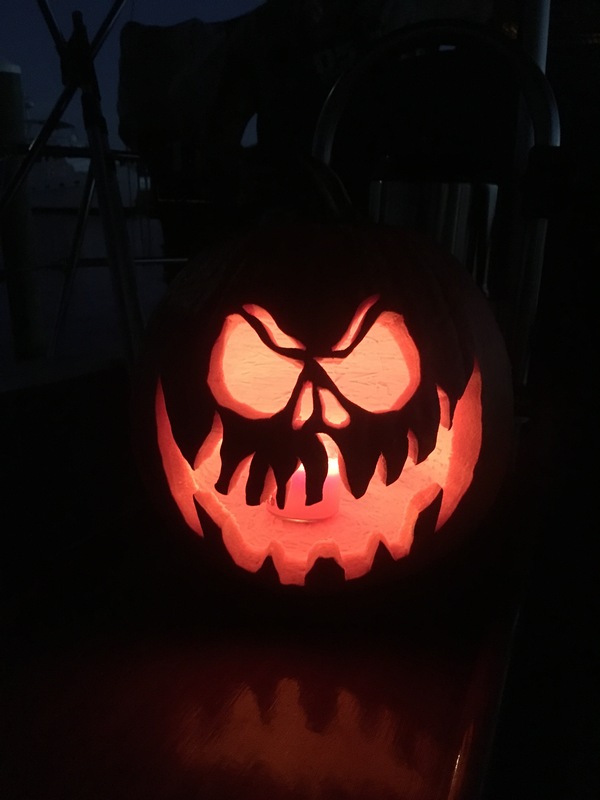 Happy Halloweeen! We made a trip home for a couple of days and got to spend some time with our youngest son, Josiah, who just finished up the 1989 Tour in Tampa and came to visit. 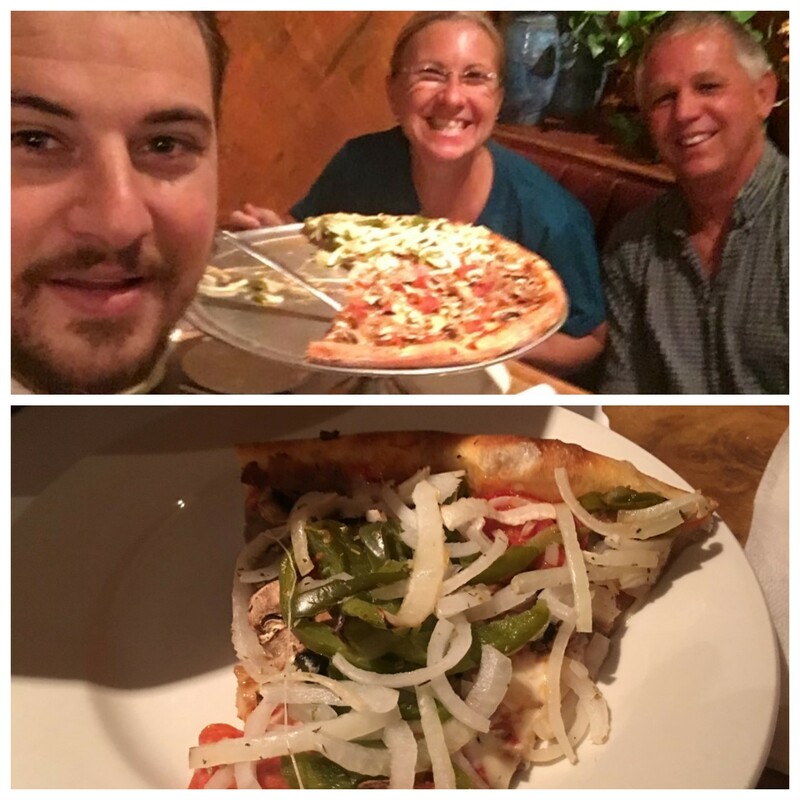 Thanks for our favorite pizza and garlic knots at Luna’s. Our summer at Marineland/St. Augustine area is coming to a close. We will be bringing the No Ka Oi south during the next week, check out our trip in next weeks blog. Have a great week! This week we got out and did some exploring. We are having regular discussions on when we should be moving along, but we are enjoying this area of Florida so much. We have never had the time to explore it to our liking, so we are staying put for a little longer, to see what we have been missing. The weather turned just slightly fall this week and we were able to take advantage of several beautiful days. 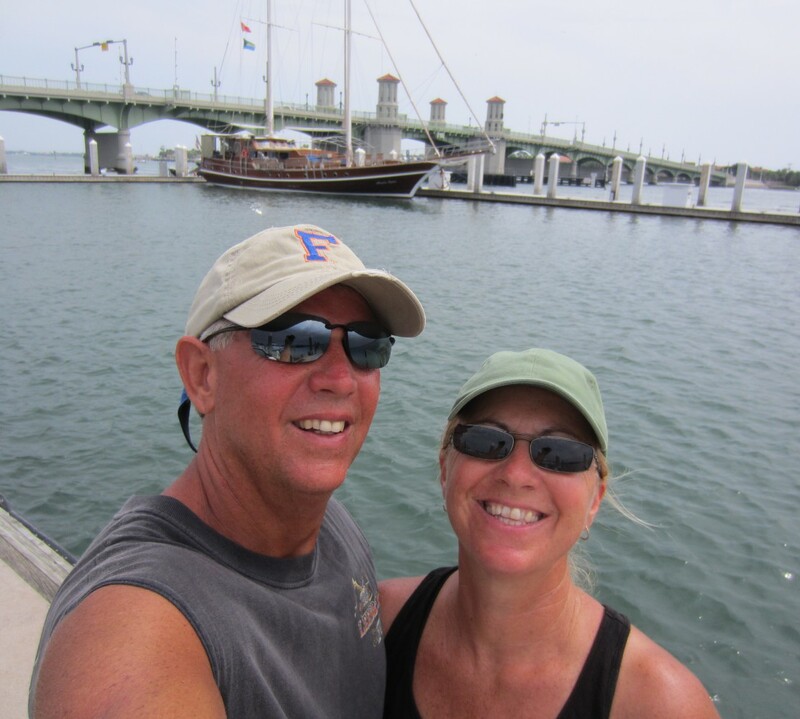 We took the bike out and also made it to St. Augustine with our marina buddies for a great time in the old town. Saturday, we wanted to go north, but when we hit rain and the radar said it was clear to the South…we made a U-turn. We had a great ride down A1A along the beach. 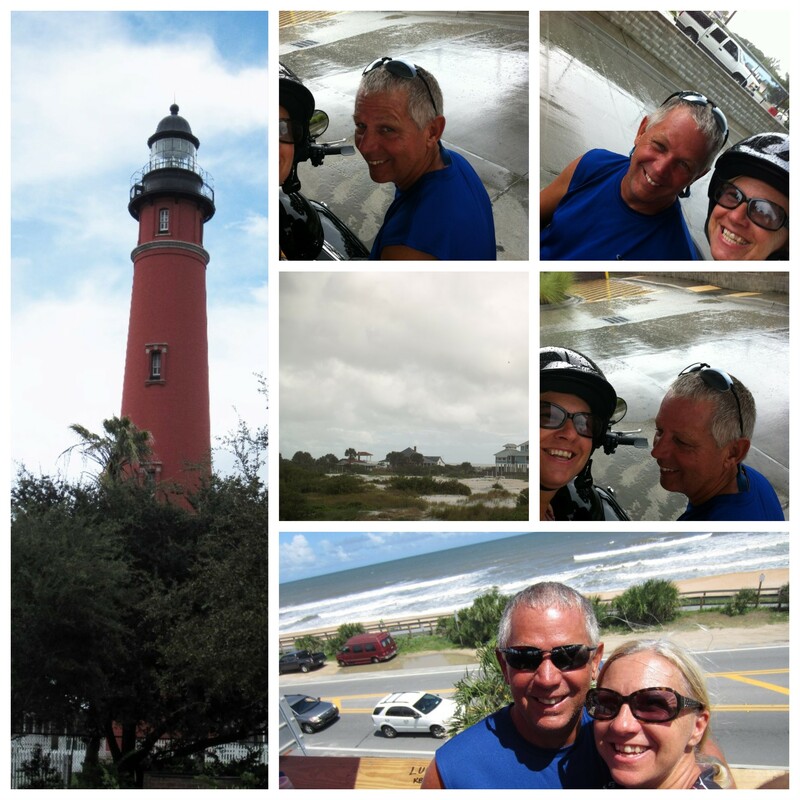 We had lunch at Finns overlooking Flagler Beach and ended up at the Ponce Inlet Lighthouse. The singer/guitar player at the Hidden Treasure Rum Bar & Grill, across the street, was great and we managed to be undercover for the only other rain shower we had that day. Sunday morning was spent on some boat repairs. Fortunately, not ours. 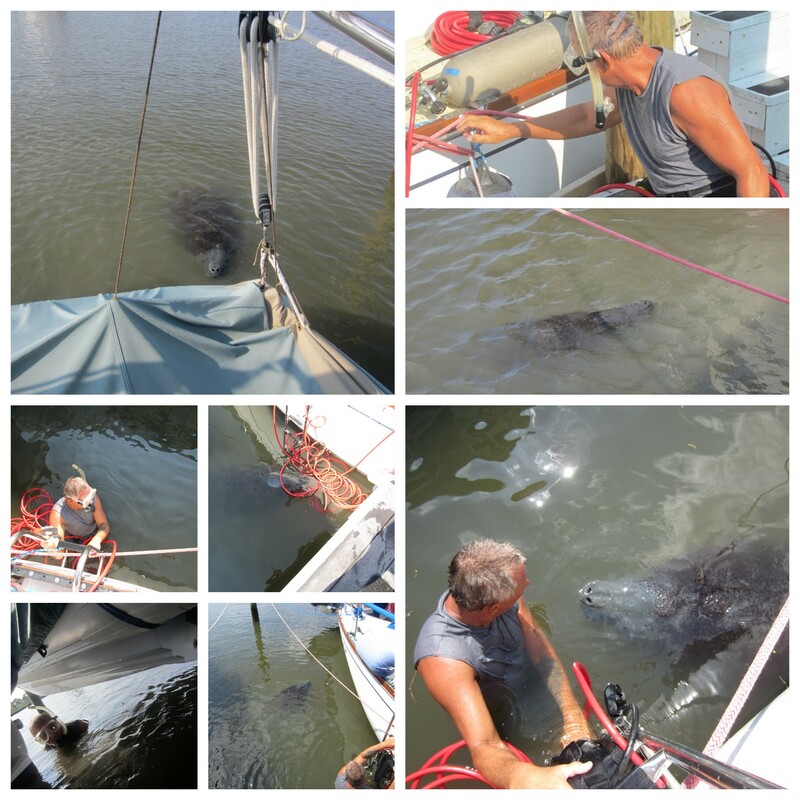 Russ and Steve teamed up their expertise and helped with some wiring issues on one of the fellow marina boats. 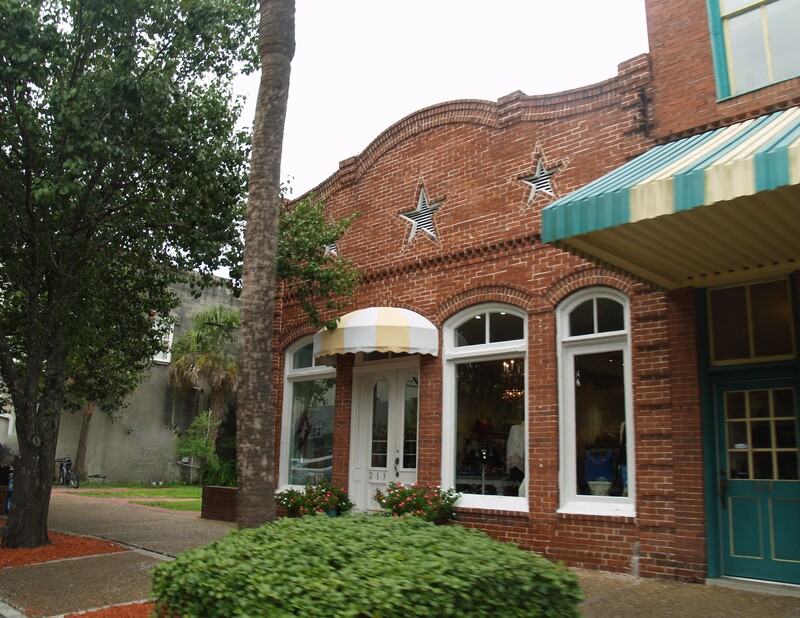 Then off to St. Augustine with Steve, Cindy and their little wonder dog, Molly. 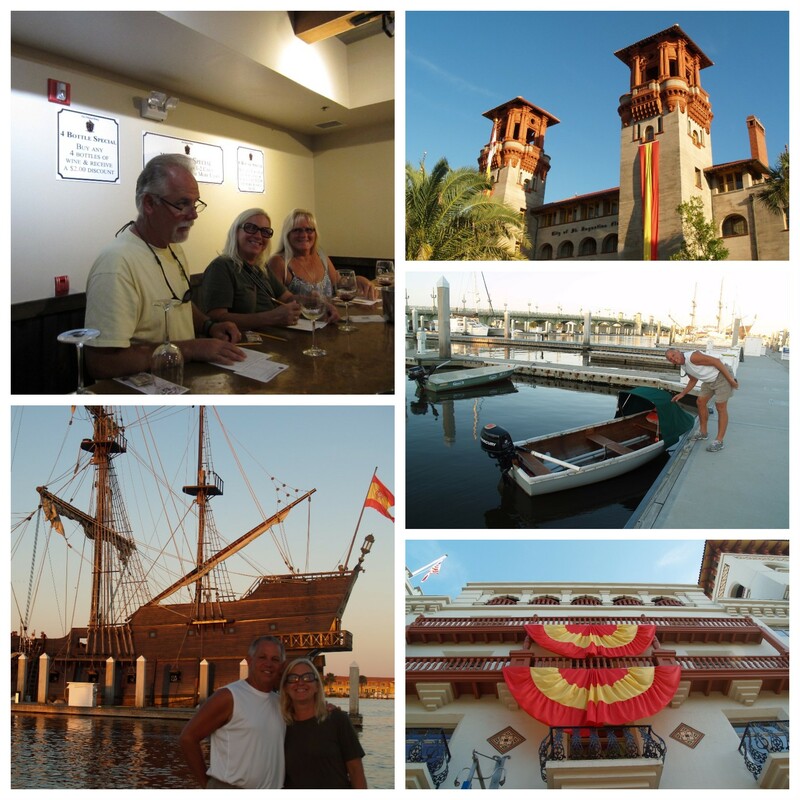 We had a late lunch at Hurricane Patty’s, wine tasting at San Sebastian Winery, and a foot tour of the marina and St. George Street. Russ said I could get my own transportation. Not sure which to go with. What do you think? 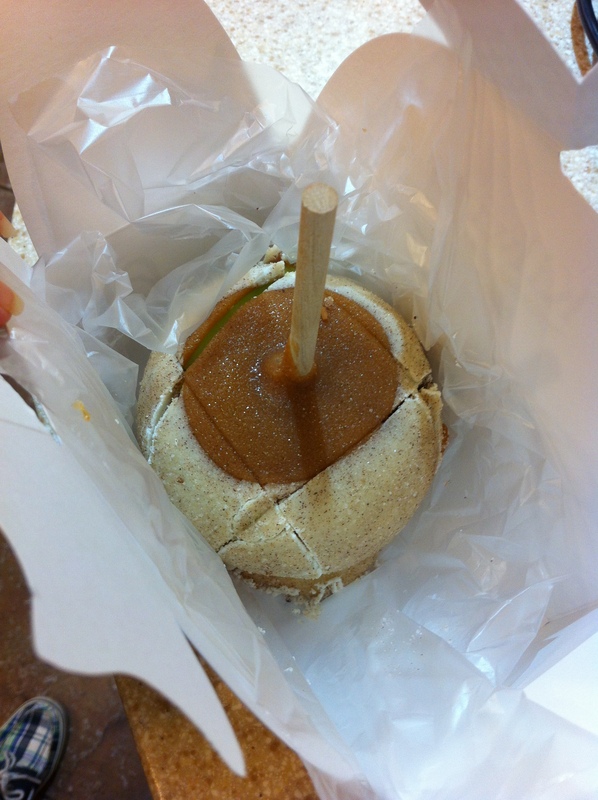 This was a remarkable treat from Kilwins, granny smith apple covered with caramel, white chocolate and cinnamon. They call it Apple Pie. 2015_09_20 Kilwins’ Apple Pie caramel apple. I have no words for this, none. Monday we made our way North. 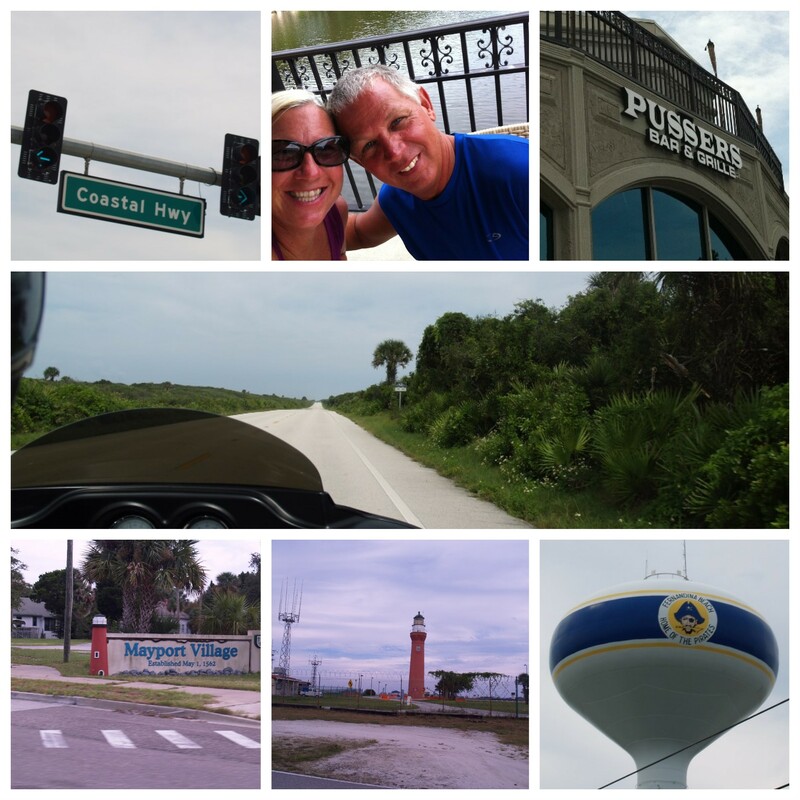 We jumped on A1A, north of the St. Augustine inlet, and took the Coastal Highway all the way to Fernandino Beach. 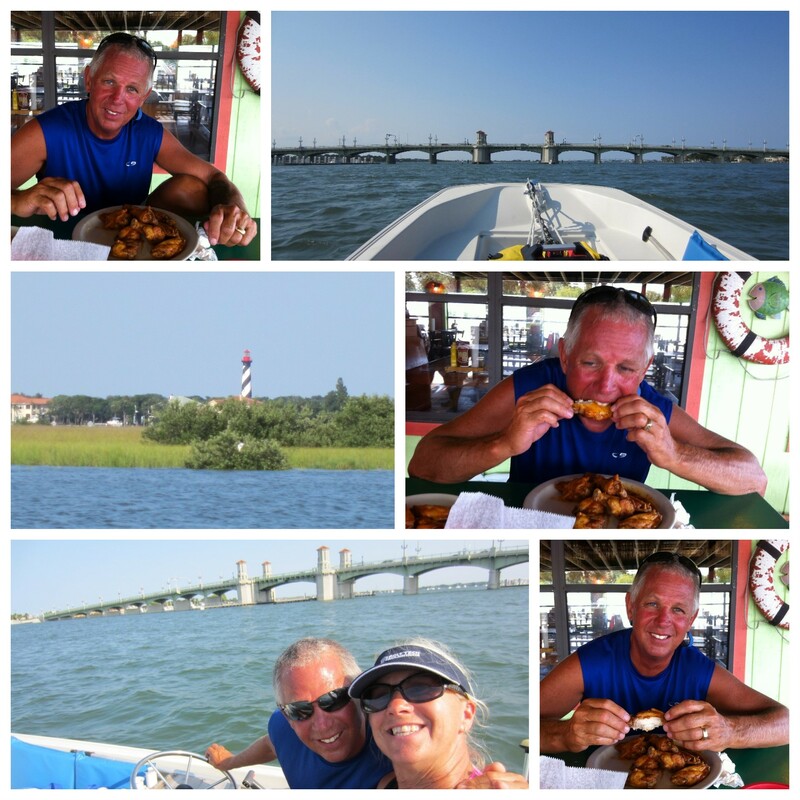 We had lunch in Ponte Verde at a great place called Pusser’s Bar and Grille. They had a Caribbean menu. Russ had a mahi sandwich with pineapple salsa and I had the fish tacos with a side of rice, perfectly cooked with coconut milk. 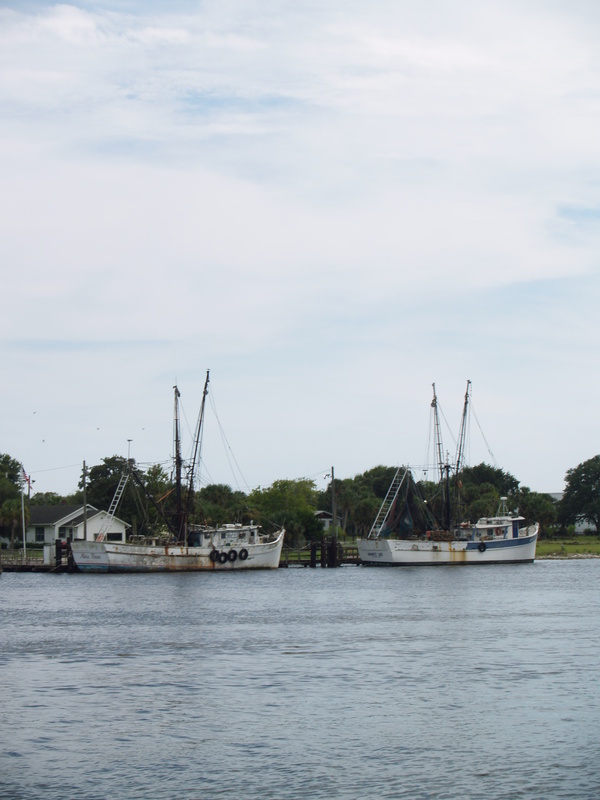 Mayport Village is truly a small town with a fishing problem, possibly a Navy and Coast Guard one too. A1A stops there for the St. John’s River. You can go around, or you can take the ferry. Going around is a long way and I had never been on a ferry, I was giddy like a fifth grader. 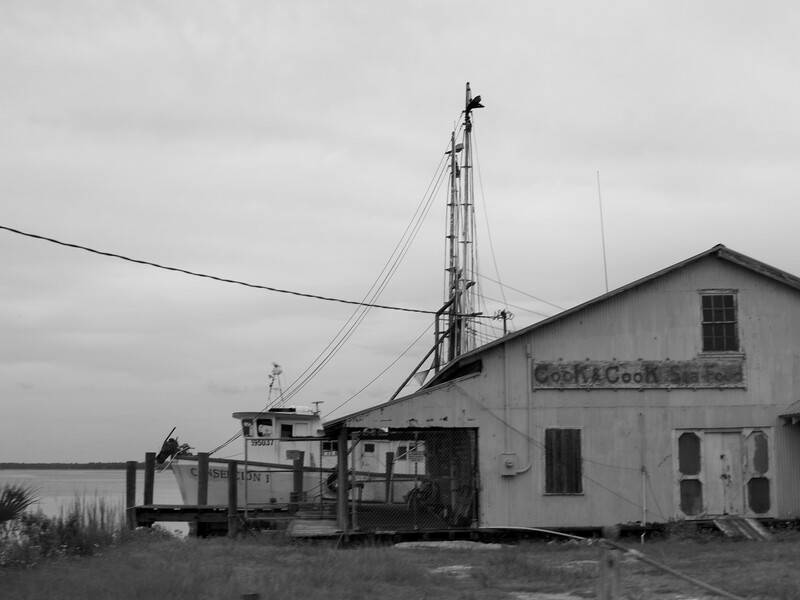 Of course, with all these boats and beach houses, someone was calculating whether he can up-grade or get something else. Then our last leg north through Big Talbot Island State Park and Amelia Island. This was a fabulous bike ride, the scenery is amazing. 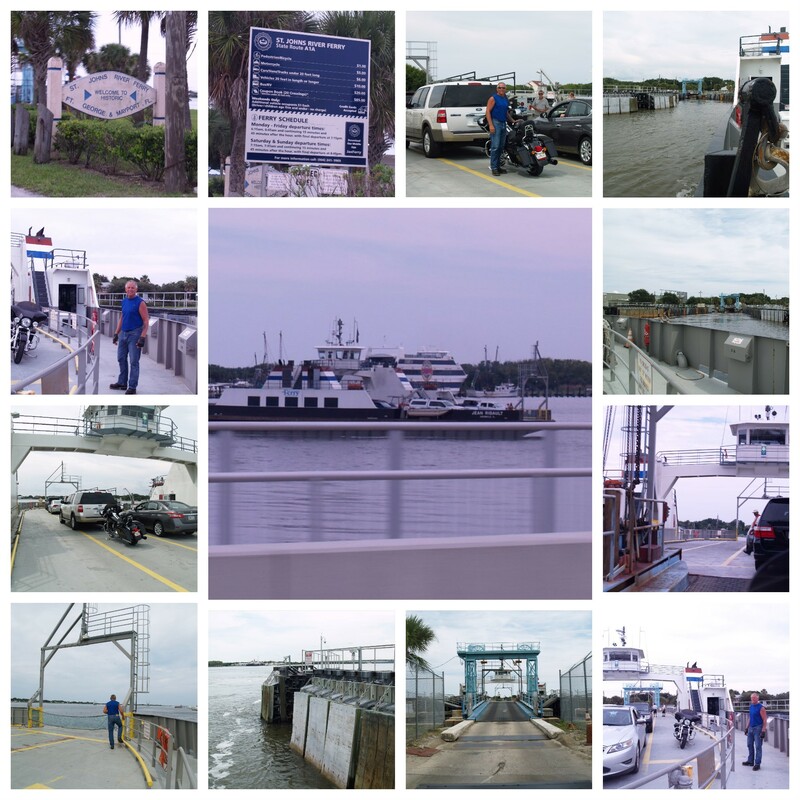 We rested at the Fernandina Beach Municipal Marina and drove around town, but had to be on our way before we could explore too much. We will be coming back to see more. It was a beautiful week with just the beginnings of all the exploring we can do. 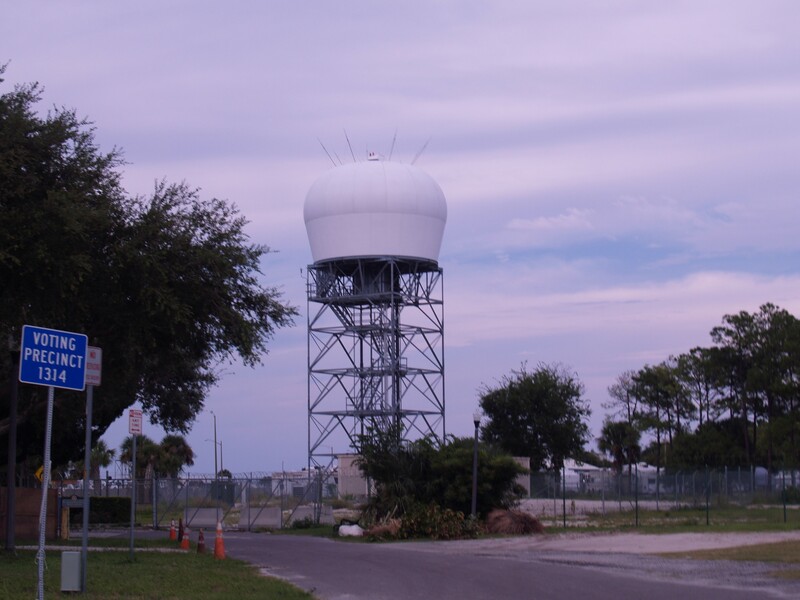 I’m only troubled by one thing, maybe one of you Navy guys could clears this up for me…what exactly is this??? Have a safe week. I’m about to land in San Francisco to hold grand-babies for a week. If you’re feeling sorry for Russ, come take him for a bike ride. Did Erica Mess with Your Week? We had our first trial run with a potential hurricane as live-aboards. Erica had everyone in Florida and up the coast to South Carolina glued to the National Hurricane Center. There were more spaghetti (models) put out than you could find at Olive Garden. No firm warnings for Florida were issued, because of all the variables created when the storm crossed the islands of Hispaniola and Cuba. We can’t remember a scenario like that, ever. So what are good sailors to do with a looming hurricane, a boat and a house that are hours away from each other, and you need to head back home for a bridal shower and a birthday party? No, we did not cancel going home. Yes, we prepared the boat for the kind of winds they were calling for if Erica had decided to come this way and we couldn’t get back in time. We stripped everything off the deck that we could and stowed it below. This would have created an uncomfortable couple of days had we stayed on the boat. We put out extra lines and tied the boat out further into the slip for potentially higher tides and wind. In the past, we would have also taken the bimini off the frame, but with our solar panels, this is quite a job, so Russ reinforced the bimini with lines. Here’s the stuffed boat and the cleared decks. The Boston Whaler was also girded up to the boat extra tight. Of course everyone knows the good news…Erica dissipated at sea and we just got more rain than we have been getting every day. Upon returning, we found everything in good order, except for the corner of the windshield cover coming loose. It was a good practice. In other news we had a great week prior to the storm and also a nice visit home. 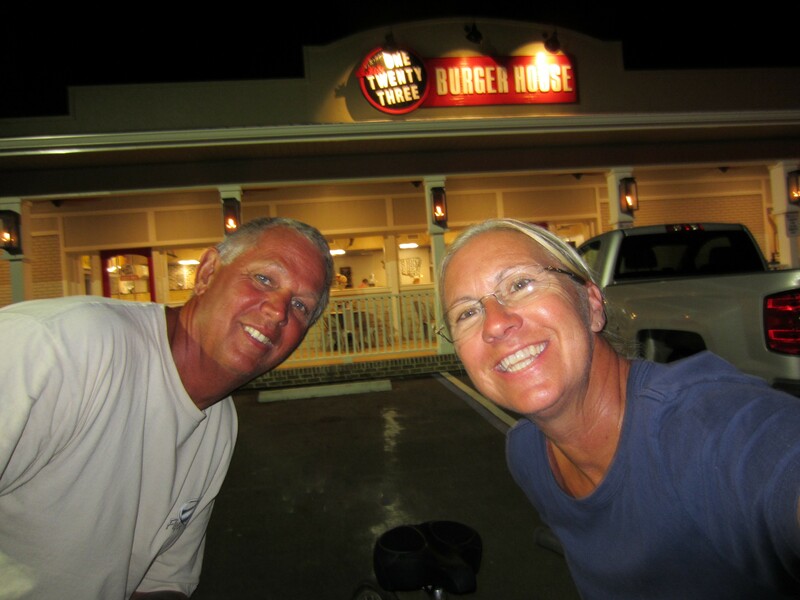 We took our bikes into St. Augustine on Saturday night (8/22) after church. We had dinner at One Twenty Three Burger House, a new diner style eatery on King Street. We had great burgers, but were too full to have ice-cream or a shake. Although, I did try a sample of the cappuccino ice-cream…mmm, going back for some of that, for sure. Then we rode downtown and parked ourselves on the corner of St. George Street and Hypolita Street, to listen to the music and people watch. The music was great and we are still wondering how people can walk in some of the shoes they were wearing, and why they would pick them to begin with. I found this little guy on the beach. He is not a sea turtle, so I was a bit concerned. 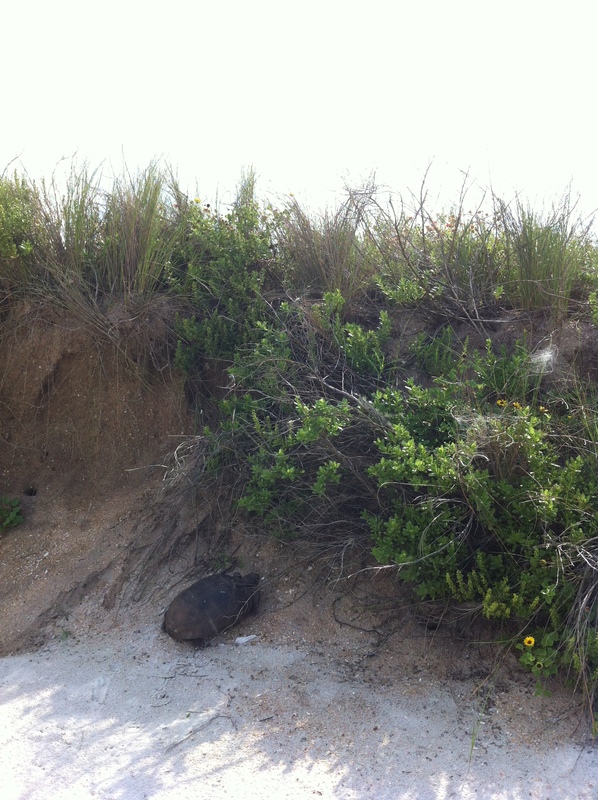 I left Mr. Gopher turtle alone and when I came back to check on him, he was gone, his tracks leading straight up the dune. I wouldn’t have thought it possible. 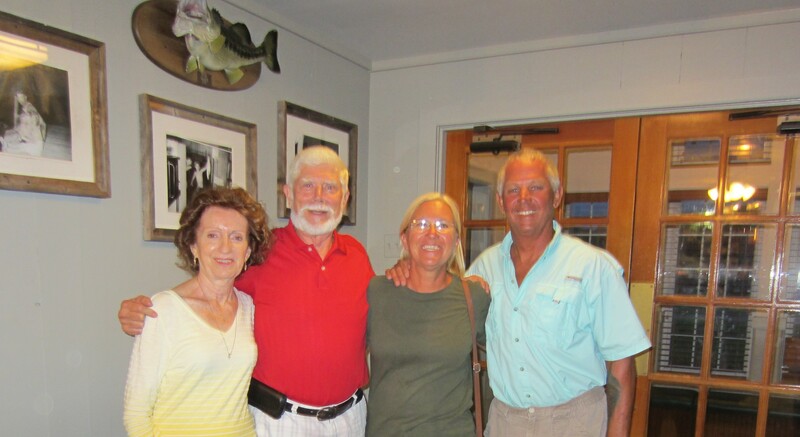 Sunday night we had a wonderful dinner at Schooner’s with my Aunt Mary and Uncle Roger. It was a great evening of catching up and finding out what everyone is up too. These two amaze me, they work more hours a week at their church than they did before they retired! 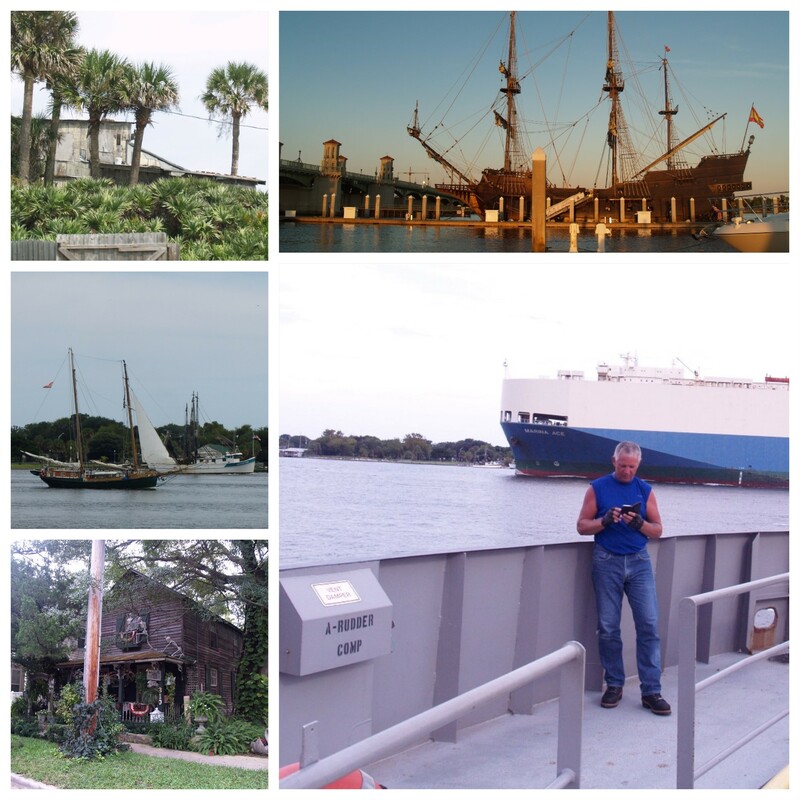 The next day, we took the Whaler up to St. Augustine for lunch at Hurricane Patty’s and over to the Bridge of Lions for a look-see at downtown from the water. It was a perfect day. Well, we can’t have all play and no work, so Russ donned the dive gear to brush the bottom and check on the zincs. He was all about his business when two rather playful manatees came over to see how they might help him at his chores. I think he missed his Tom Sawyer moment to pass on his brush, but you know how that goes. Then we packed up and went home for the weekend. It was perfect timing. I was able to attend Lindsay Allison’s bridal shower and share in the fun and joy of her upcoming marriage to Doug Davis. This is a wonderful couple and the shower was beautiful. 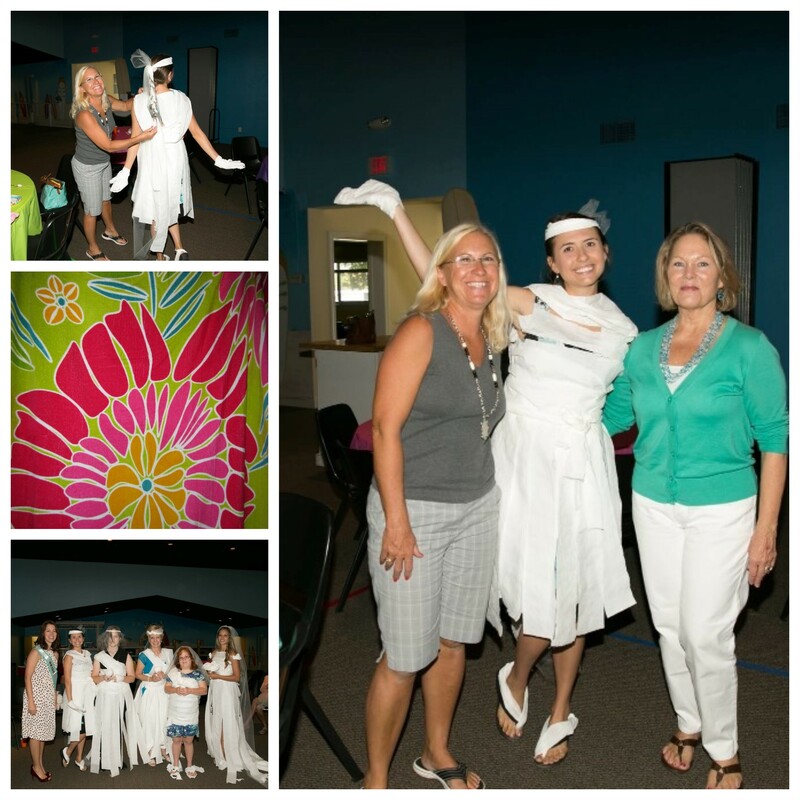 With the help of Allison Jochum, we decorated the prettiest bride ever with toilet paper and won the prize! Mine was this beautiful beach towel, perfect for this sailor girl. Russ did “manly” things, like changing fluids in his Harley and going for a ride. Then we were blessed to celebrate Curt Moore’s birthday and visit with many friends we haven’t seen in a long time. There is no pictorial evidence of the night’s adventure, which was a multi-stop tour from Jensen Beach to Port Salerno. I do believe, fun was had by all, even if one had to get older to instigate it. 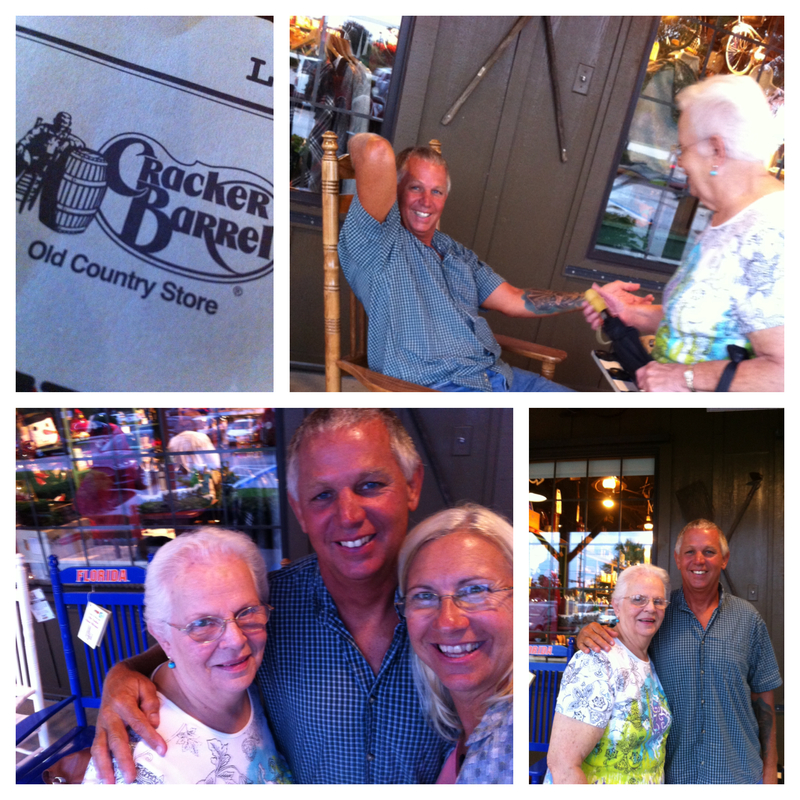 Sunday night we had dinner with Russ’ mom, Joyce and she got to see his newest tattoo for the first time. 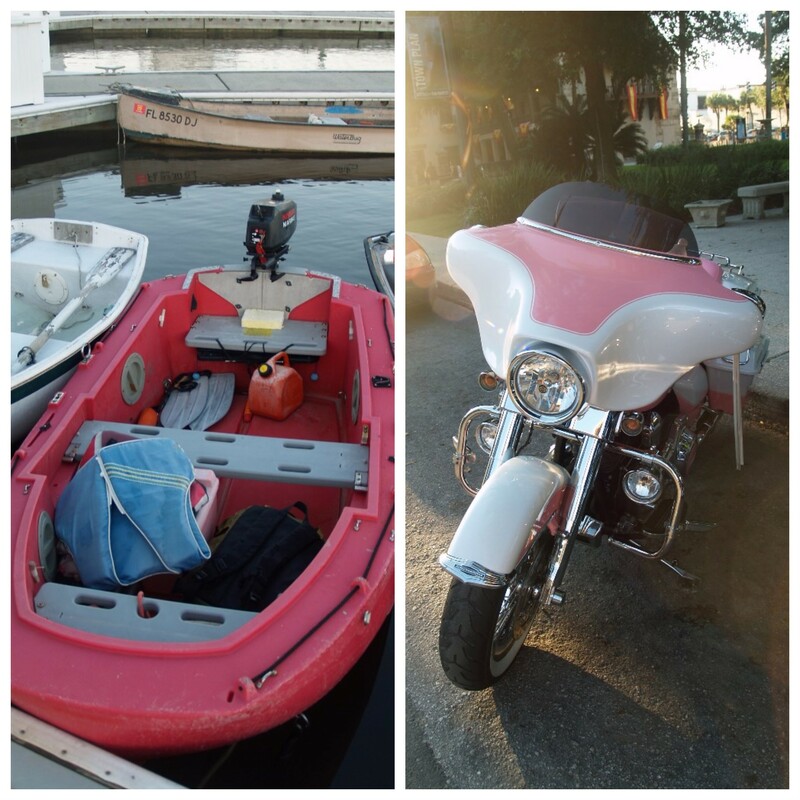 After picking up all the loose stuff that lives around our house, in case of any future hurricane threats, we loaded up the motorcycle on the trailer and headed back to the boat. Russ is seriously trying to figure out how to get his baby on the davits…I’m sure! Well that’s our adventures for the past week or so, we hope that Erica did not mess with your week too much and that this coming Labor Day weekend is a special blessing for each of you.